Mark your calendars for this Friday night, when I will be part of an NYU panel discussion about the ever-increasing mediatization of food. If you would like to RSVP, follow the link . . .
Just got the news that Elizabeth Kolbert, this year's guest editor for The Best American Science and Nature Writing, has chosen "Wasteland" for inclusion in this year's edition of the anthology. My journey through America's cloaca has proved productive . . . Here's a book I'm definitely adding to the library, by one of the best food writers around. Is anything more sacred than raw milk? According to the Weston A. Price Foundation, only one thing—if it doesn't make you gag. Excellent meal last night on the UWS. A Vietnamese spot, recently opened. It's in the running for a star from Mr. Platt. If anyone out there correctly guesses the venue, will hail them in a future post. Pretty lame prize, I know, but I do not possess American Stomach T-Shirts as of yet. Nor action figures . 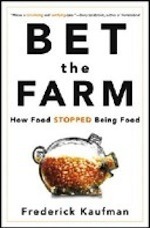 . .
Will be breaking bread this evening with Adam Platt, restaurant critic for New York Magazine. Special guest will be the writer-turned-agent Molly Jong-Fast. At an undisclosed location, for obvious reasons. Eating with Adam is not like anything else I've ever experienced, as he not only orders the left side of the menu, but the right, all the desserts, and every cocktail . . . 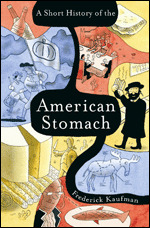 In short, the American Stomach at its sprawling, epic best. Here's an original recipe, first published in Godey's Lady's book. For a true taste of 1965 . . .
of the Encyclopedia of Junk Food and Fast Food. Entries on Snickers, M&Ms, Mars, and Yum! 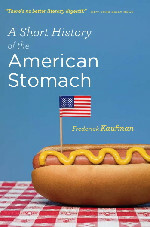 368 pages of pure, unadulterated American underbelly . . .
is now available. Here's the cover . . .